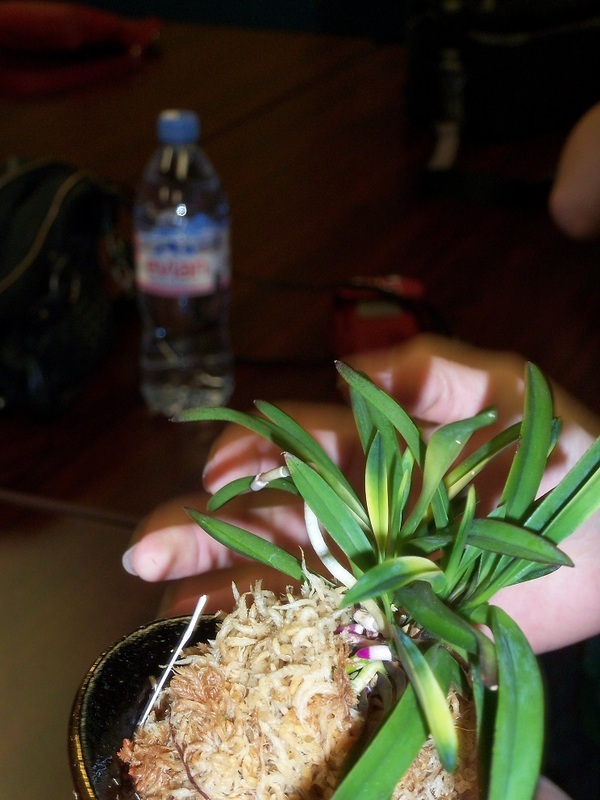 included. 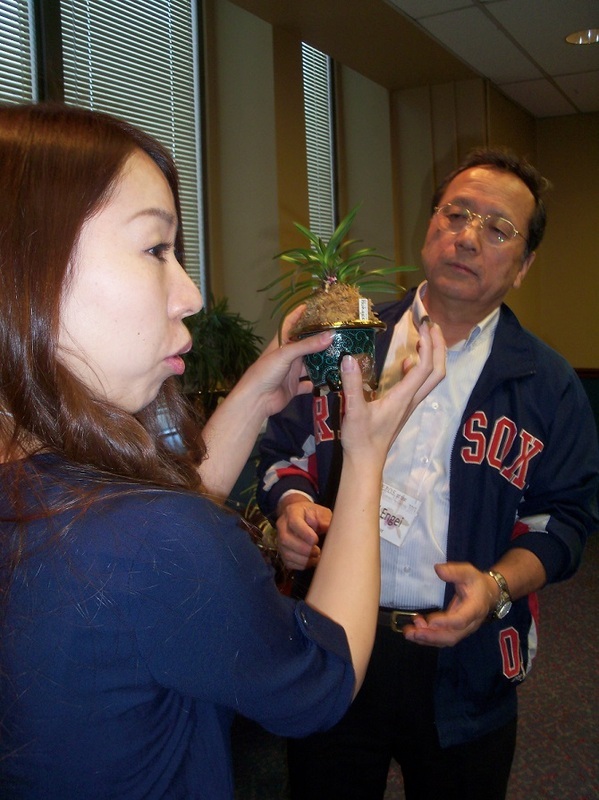 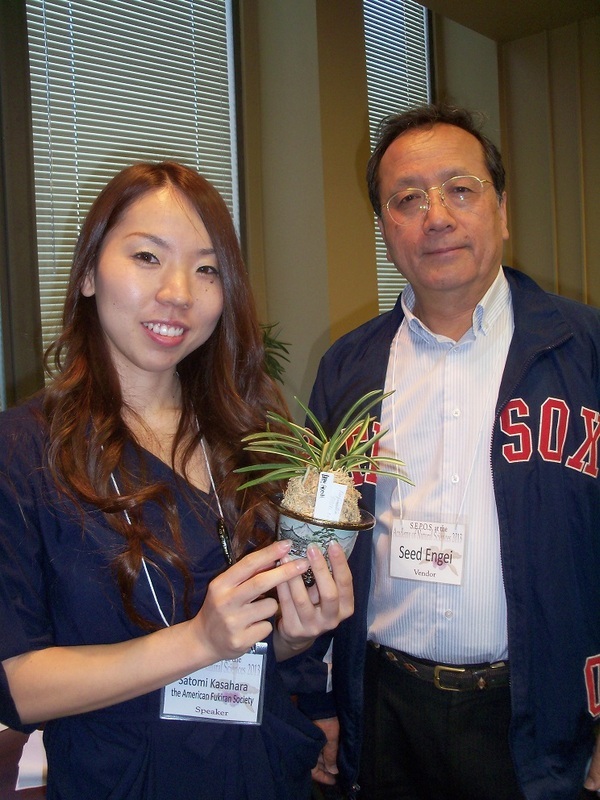 Judges for the event were Satomi and her father, who is the Chairman of the Japan Fūkiran Society. 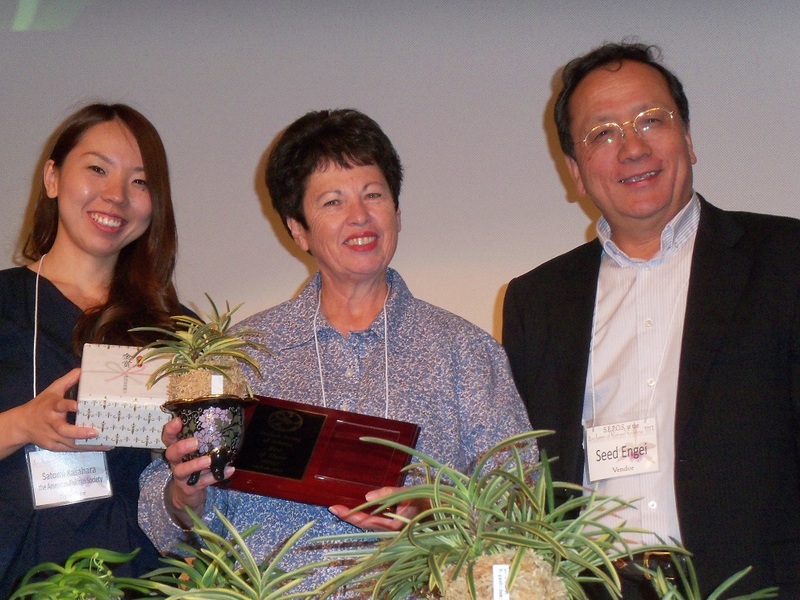 These are the top 3 winners with their plants. 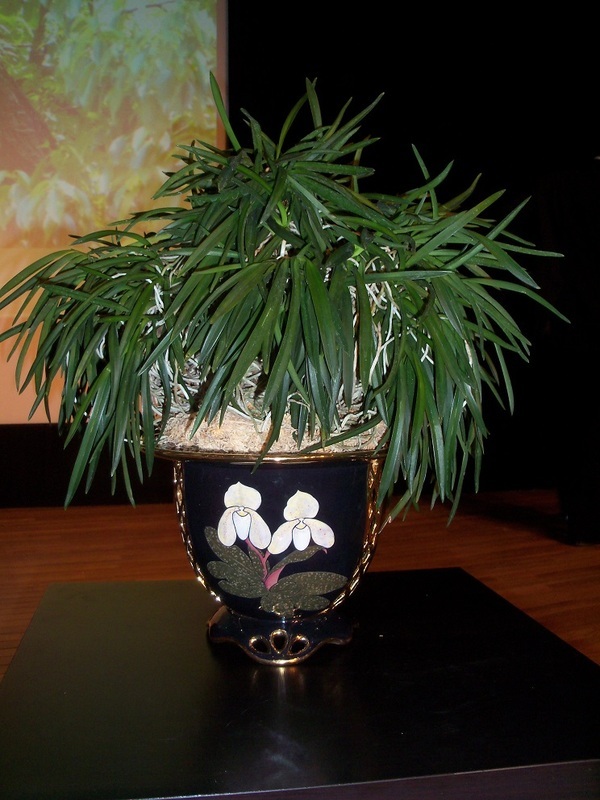 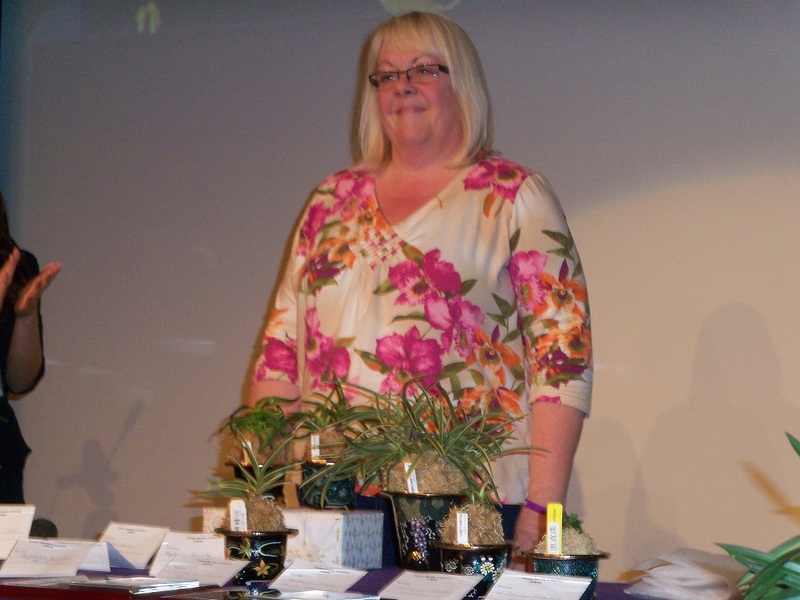 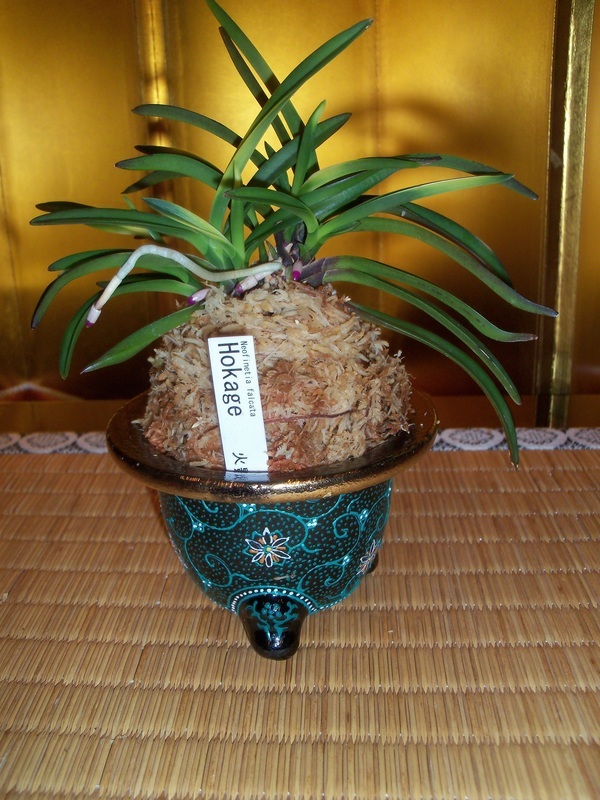 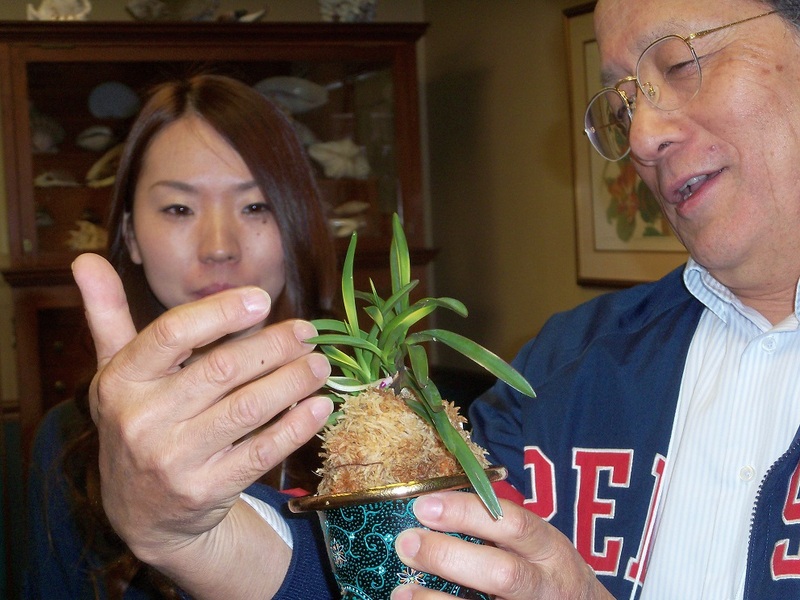 Prizes included a plaque and a handcrafted Neofinetia pot donated by the Japan Fukiran Society.